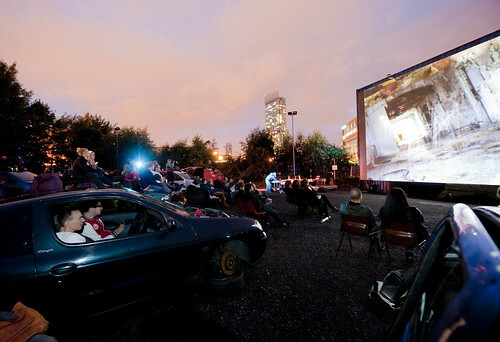 Empire Drive-In was a full-scale drive-in movie theatre made from wrecked cars, created by Brooklyn artists Todd Chandler and Jeff Stark in collaboration with a dozen other artists and craftspeople. It was symbolic of the once thriving drive-in industry in the United States. Today, only 381 drive-ins remain active in the US, killed off by strip malls and condos more profitable than the drive-in movie theatre experience. Originally built in San Jose over a two-week period, this manifestation of Empire Drive-In was the first time it has been seen in Europe. During the day festival attendees were able to move freely from car to car and experience the sonic environments featuring work from Roberto Carlos Lang (NY), Sxip Shirey (NY), and others. The night sky was lit by a specially programmed series of film screenings and live soundtracks, including a slide show of abandoned spaces by photographer Tod Seelie and Empire Shorts, a collection of live-soundtracked short films by artists who navigate landscapes in lyrical and bold ways. From the demolitions of cities to boats built from debris, these reflections on contemporary ruin feature Gordon Matta Clark, Martha Colburn and Bryan Papciak (USA). 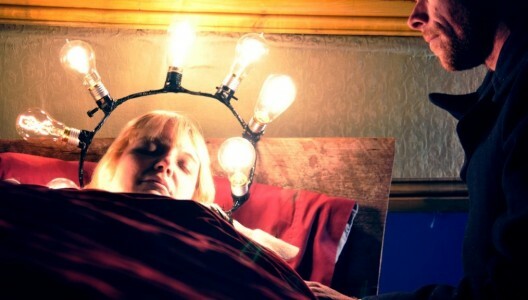 Wednesday night was festival opening night featuring a collection of energetic short films with improvised live soundtracks by local bands and musicians. 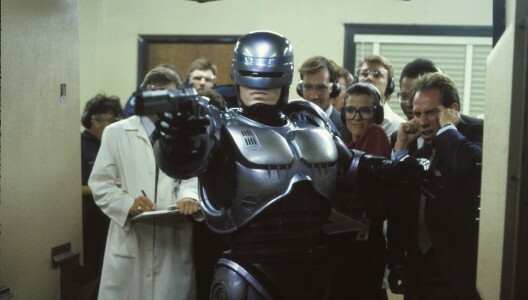 We doffed our hat to Motor City with short documentary film After the Factory followed by Paul Verhoeven’s legendary Robocop. On Thursday night we hosted Gravity Was Everywhere Back Then, an unusual story shot on a hand-built film set in director Brent Green’s backyard. With live soundtrack, sound FX and narration by Brent Green himself! Close your eyes before the dust hits them! 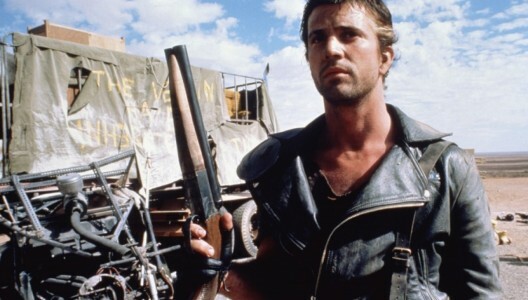 On Friday night we screened post-apocalyptic gasoline guzzler of a film, Mad Max II – Road Warrior, accompanied by performances from Manchester group Tranarchy.